We saw how to create image galleries in WordPress without using any plugin. But it has several limitations. So you should use third-party plugins to bring advanced functionality to the photo stories. NextGen is the most popular plugin in the category. It downloaded more than one million times till this writing and still counting. Sign in to your WordPress site, go to Plugins > Add New and search for NextGen Gallery. It will add a new Gallery menu in the left sidebar. Tap there to launch gallery wizard with step by step instructions. Otherwise, go ahead with the following. There’re two ways to create an image gallery with NextGen plugin. Click Gallery from the left side, then choose Add Gallery/Images option. Now time for selecting images. I decided to choose existing images from the media library and named the gallery as Vacation Photos. Click Select Images button to open the library. Select desired images one by one to insert them into the gallery. They can be customized from the settings on the right side. Once finished, click Select button from the bottom side. You will be diverted to the following kind of screen. Click on Import 1 image to insert each of the images. After inserting all images, click Manage Gallery link from the small popup box you get every time or from the left menu. Gallery settings page will be opened where you can manage the entire gallery as well as the individual images in it. Add, Edit and rename image details if needed. Enter tags to better describe the images. So your visitors can easily identify them and open according to their tastes and interests. Where do you want to insert the gallery? The photo stories can be shown in posts, pages or sidebar. If you want to insert images in a sidebar widget, go to Appearance > Widgets > Choose either NextGEN widget or NextGEN Slideshow. The latter widget lets you create slideshows by gallery name and it is Vacation photos in our example. In NextGEN Widget, you will get more customization options including image type, number, size and list type. Do you want to show a certain, multiple or all galleries there? The widget asks for gallery ID in the last field. Find out it from Gallery in the left menu, then Manage Galleries section. To insert galleries in posts and pages, go to Method 2. Open your desired post or page to insert the gallery. NextGen should create Add Gallery button in the WordPress editor. Click on it. A window will open with these kinds of settings. Add Gallery/Images: We have already created the gallery. But you can create it from here as well. Choose your source and name the gallery. Go to Display Galleries section and tap the second option What would you like to display. Choose Galleries from the Sources field. Place your cursor in the Galleries field. It will display all galleries in your site, choose anyone or leave it blank to showcase all galleries. 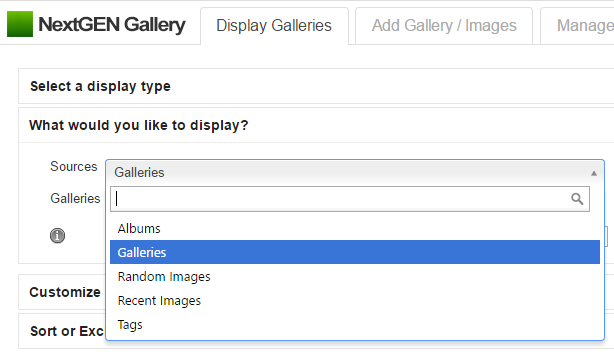 If you want to display photos other than from galleries select an appropriate option in the Sources field. Thus you can show albums, images by tags, random or recent images in posts and pages. Do you want to adjust the image size, set watermark and others? Go to Gallery > Other Options to manage such things. To insert image gallery using shortcode, refer this page. Finally, click on Insert Displayed Gallery button at the bottom. 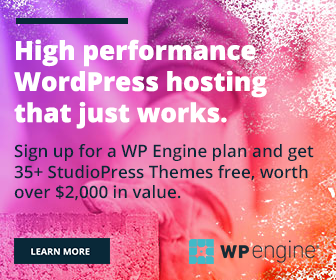 Now you are in the WordPress editor. Click on Preview to see your image gallery in advance. If corrections needed, tap the pencil icon on gallery box in the post editor and make necessary changes. Hit on Publish to see your work in action.